A bipartisan group of lawmakers blasted President Donald Trump's proposed HHS budget cuts on Wednesday, saying patient lives could be at risk if the plan turns into reality. Republicans and Democrats on the House Appropriations Committee's Labor, Health and Human Services, Education and Related Agencies Subcommittee raised grave concerns to HHS Secretary Tom Price during a hearing Wednesday about Trump's proposed 16% cut to HHS' budget. The deep slashes would amount to a $12.6 billion loss to the agency, but there are few specifics about those cuts. Price said the changes would come to light in mid-May, when the full budget is slated for release. GOP committee members said the spending cuts would undermine HHS' attempts to respond to public health crises, such as the Zika and Ebola outbreaks in recent years. Subcommittee Chair Rep. Tom Cole (R-Okla.) said Congress would push Trump to spread the proposed cuts across the federal government more equally to protect HHS' public health work. Democrats warned the cuts would be used to weaken the National Institutes of Health's disease research work. The proposed budget pulls $5.8 billion from the NIH's current budget of nearly $32 billion, an 18% cut. If Trump's budget becomes law it would be a “disaster that will have life-and-death consequences for Americans,” said Rep. Rosa DeLauro (D-Conn.), ranking member of the subcommittee. 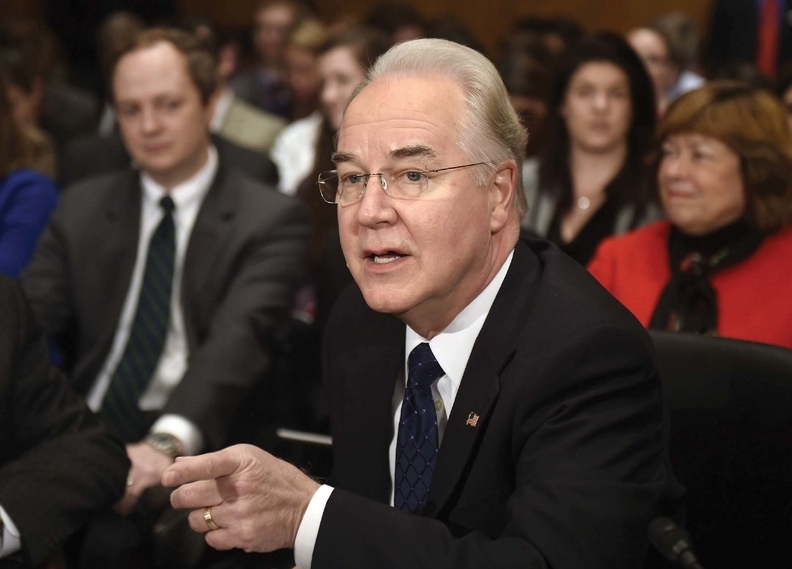 But Price said the budget cuts wouldn't hamper NIH research or HHS public health activities. “Our goal is to fashion a budget that focuses on things that work and decrease the areas where there is duplication, redundancies and waste,” Price said. It's still unclear how Medicare or Medicaid will be affected by the proposed budget cuts. Trump said during his presidential campaign that he wouldn't touch funding for either program. But House Republicans' proposed Affordable Care Act replacement bill would have pulled back on Obamacare incentives for states expanding the program. House Speaker Paul Ryan (R-Wis.) pulled the bill on Friday after determining it lacked support to pass the chamber. Ryan said Tuesday that House GOP members would take another stab at healthcare reform, but provided no timeline or details on those efforts. Price on Wednesday acknowledged that the ACA remains the law of the land, and he will enforce its individual mandate as long as that's the case. He demurred on whether he would attempt to alter the ACA's outlined 10 essential benefits. Policy experts have said Price would have the power to let states decide what those benefits should be. The HHS secretary slammed Medicaid during Wednesday's hearing, calling the system "broken" because it focuses too much on funding and not enough on ensuring beneficiaries achieve better health outcomes. Price has expressed support in the past for requiring Medicaid beneficiaries to pay premiums in exchange for program participation and lowering those premiums depending on beneficiaries meeting healthy behavior requirements, such as getting physicals.